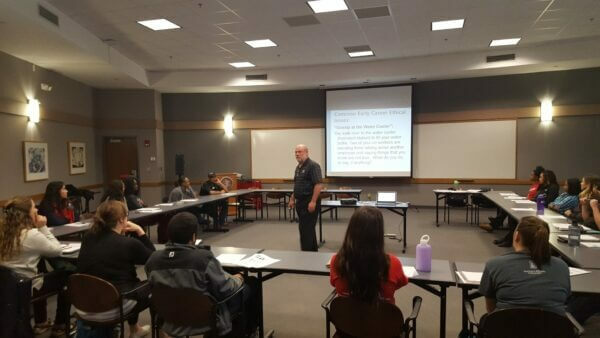 Dr. Terry Bishop, associate professor in the Department of Management at NIU, will deliver a Jobs PLUS session on ethics and leadership on Monday, Sept. 11, from 6 – 7:30 p.m., in the Campus Life Building 100. The event will examine the strong relationship between ethics and effective leadership and will focus on how one’s own ethical orientation may influence leadership capability. Examples of how individuals might respond to situations and interact in interpersonal relationships will be explored. Information on the event and a link for online registration can be found at go.niu.edu/jobsplusevents. Advanced registration is required. Jobs PLUS events are free and open to all NIU students. If a student’s employer is a Jobs PLUS partner, the student may be eligible to attend select Jobs PLUS events on their paid work time with permission from their employer. Students interested in connecting their employer to Jobs PLUS can self-report where they are working.